Caribbean and Dream Buildings at Ocean Landings Resort enjoys ten and a half acres of oceanfront! 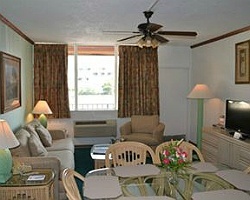 As a result, many of the suites offer views of the beautiful Atlantic from their position in Cocoa Beach, Florida! On-site, guests will find two heated swimming pools, a whirlpool, restaurant, night club, exercise equipment, four racquetball courts and four tennis courts! Nearby activities will hold their own, too, and range from deep sea fishing and boating to world-class golf! 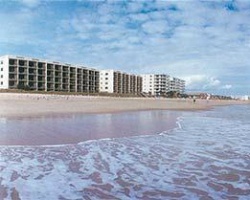 For more information about this beautiful resort, visit www.oceanlandings.com. Prime oceanfront resort! Available during week 30! Buyer May Receive A Title Fee Credit, Inquire For Details!